There has been a great deal of controversy surrounding the moon landings in the USA. There are a large number of people who believe that these landings were faked in order to force the Soviet Union to bankrupt itself. It all had started when the Soviet Union had become the first country whose astronaut went into space. There is no doubt in saying that Russia was the first country to travel into space. However, some critics believe that the same cannot be said about the landings on the Moon. It is for sure that these theories are nothing more than hoaxes. It is an undeniable fact that the Neil Armstrong was indeed the first man to land on the moon whether some people like it or not. It is due to the heated debates that are going on these days that I have decided to share with you the 5 reasons people don’t believe in the moon landings. 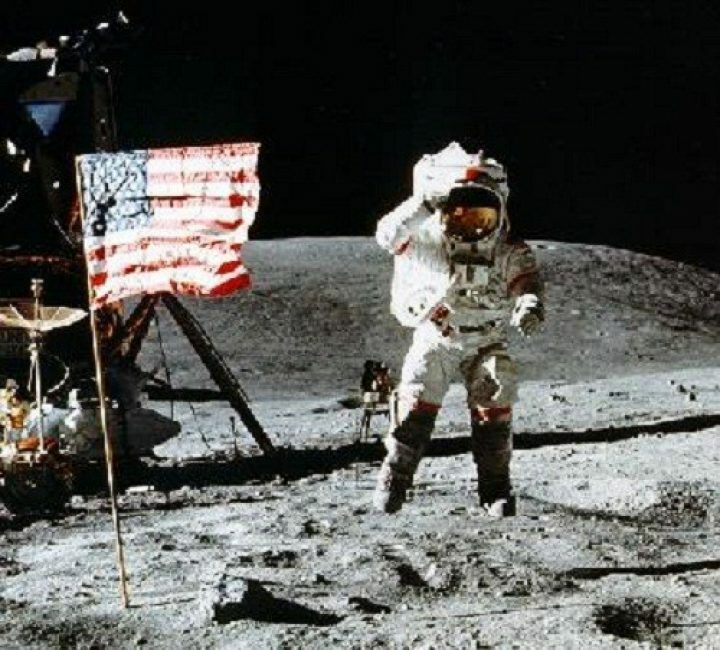 A number of conspiracy theorists feel that when the landing on the moon was first aired on television, the American flag was shown to be waving. All of the pictures showed the flowing of a breeze on the surface of the moon. The problem lies with the fact that there is no sort of air or breeze over the moon. The same is the reason for which red flags have been raised in relation to the landings. NASA authorities are of the view that the flag had been placed inside a thin tube which created ripples. Others believe that the that gravity was the core reasons for which ripples were created in the structure of the flag. It is a fact that there is only source of light on the moon i.e. the sun. However, the pictures of the landings that were released, it can be seen that a number of sources of light were there. It should also be noted that due to one source of light, all of the shadows should be seen to be running parallel to one another. NASA is of the view that strange shadows were due to the landscapes on the moon. A great deal of controversy and skepticism has been raised since these claims surfaced. 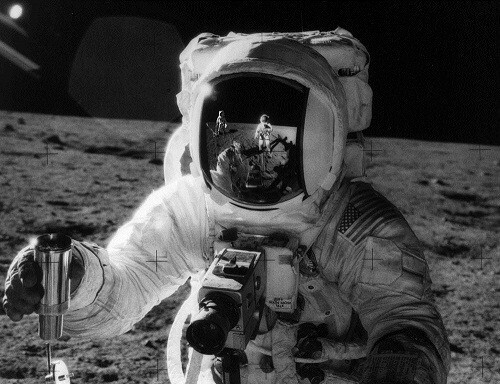 Critics have raised the question that in the close picture of the astronauts taken on the moon, something strange was seen in the reflection of the helmet. On close examination, it was reported that the object was a spotlight. It is unclear that whether the object was a spotlight or something else due to the poor quality of the images that were taken. 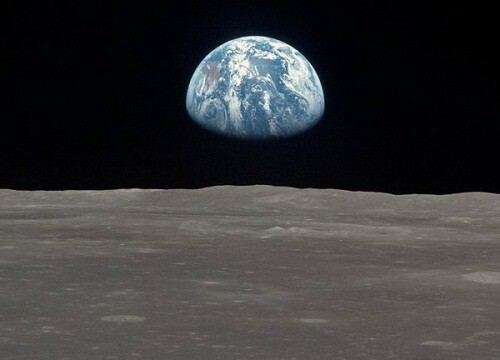 NASA has constantly asserted that the poor quality of the images from the 1960s is the main reason for which this skepticism has been raised. Critics have argued that slow motion for the landings was made possible through the use of ropes and other equipment. In other words, Neil was able to hover the surface simply through the use of wires and other related equipment. The huge jumps that were taken on the surface were also because of the ropes. In short, some cheap equipment and a few manipulation techniques were enough to startle the world with the USA landings on the moon. Another core argument is that no stars could be seen in the pictures that were released. It is simply unacceptable that there are were no stars at the time of the landings. The stars are always visible in the space but not always on the earth because of the cloud coverings. Furthermore, some of the photographs that were taken were of high quality and some were not. This is another dimension which is a bit confusing. NASA has simply turned down these claims by offering a number of explanations. There is no doubt in saying that USA has achieved a lot more than simply landing on the moon. Even a country like India is now able to send rockets into space. So why can’t a super power nation like USA do the same. The economy of the US is 10 times stronger and powerful than India, 3 times stronger than China and many others. 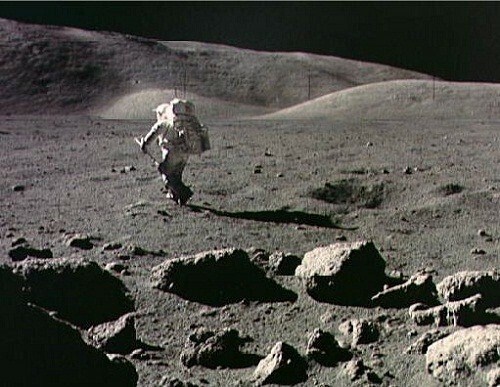 It is simply stupid to think that the landings on the moon were faked. The Soviet Union did face bankruptcy due to uncontrolled spending on nukes and moon landings. However, the dots don’t add to support the claim that the US never landed on the moon.